Buddies, Baseball and Bulldogs | Are You Zhazha? 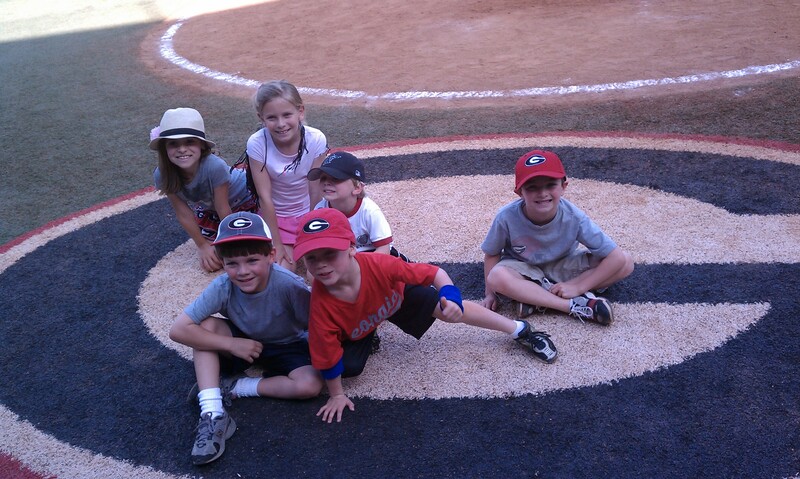 We met through a love of baseball – cheering on our three boys and their t-ball team. Now, a season or so later, I’m happy we were all able to get together again – this time to cheer on the Bulldog baseball team. Our boys aren’t on the same t-ball team this season (in fact, we have to play against each other in a few weeks!) but I have a feeling they will be rooting for each other from across the field. All three of them love the sport so purely and intently. They watched the entire game, wearing their gloves and talking stats.